Here at AccessCO we also have an option to rent a stairlift. This can be a rent to buy option also, people usually avail of this option when they’ve had an operation that limit their mobility for a short period of time. this is when the rental option works. From point of order we will have the stairlift installed within two days. We offer a reactive service as we understand sometimes there is an urgency to have a stairlift installed. When you call us we will go through everything with you over the phone including prices. We will also arrange to carry out a survey and go over everything with you or the family member that the stairlift is for. We will give you peace of mind when making the decision to install a stairlift in your or your family members home. Below is our most commonly rental option. Minivator Stairlift. We supply, install, and remove the stairlift for 1000 EURO (which includes 3 months rent). if you have any questions dont hesitate to contact us on 01 5134998. 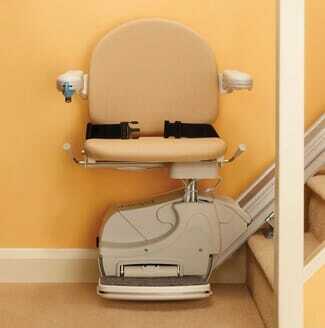 Do You Have Questions About Our Stair Lifts? Alternatively, simply Contact Us on (01) 546 1130 and one of our stair lift experts will answer any questions you may have.